First of all, the place was very easy to find, plenty of parking, couple of supermarkets and restaurants nearby (3 minutes walk). 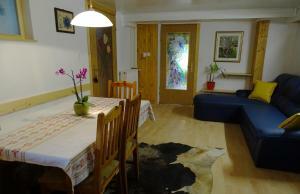 Moreover, the location is ideal - near most of Slovenia's top attractions. The hostess, Nikica, is very kind! She helped us with all we needed and answered all our questions and requests. The rooms are spacious and clean and have a beautiful mountain view from the window/balcony. The kitchen is well equipped with everything you may need. We enjoyed our stay very much and would happily recommend it to anyone looking for a place to stay in the area. Thank you Nikica! 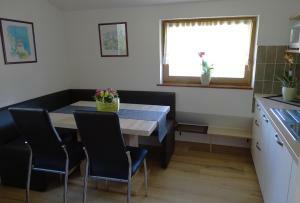 Very nice and hospitable hosts, clean apartments, beautiful surroundings. The owner is fantastic! Nikica is helpfull every moment and all you need she give you. It seems that you stay at home. All the rooms-apartments are lovely and they have all the comodities. 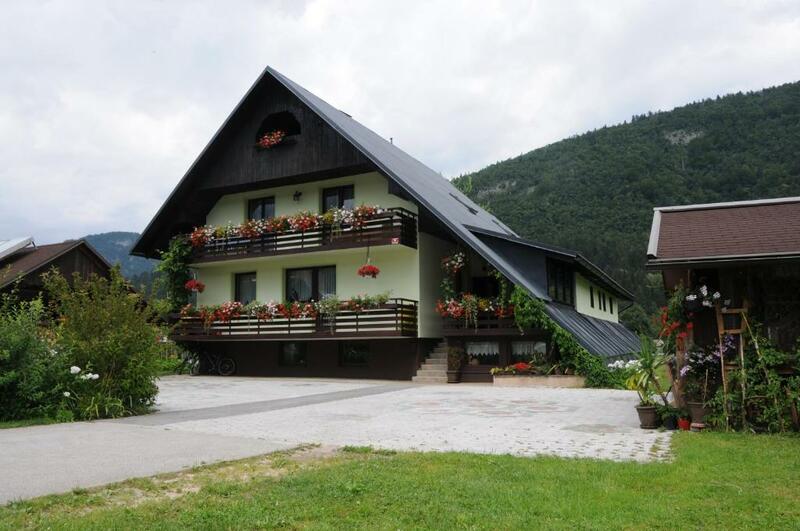 We are sure that we'll return to Bohinj and to the Zorc apartments. 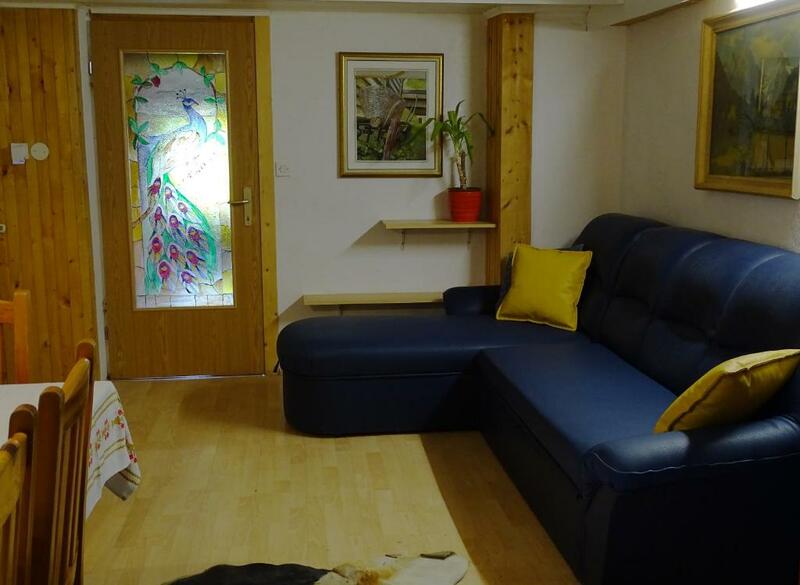 The apartment is close to the bohinj rail station. Hosts are very, very nice. For all our stay we’ve felt like at home. 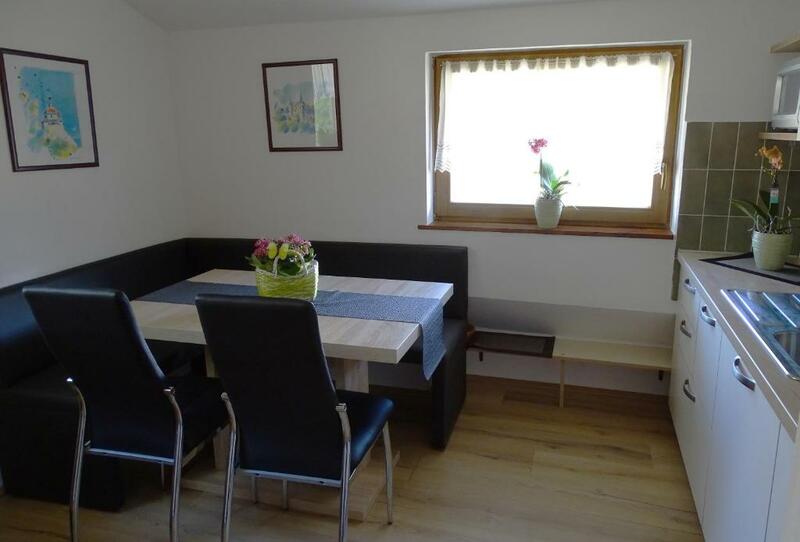 Very friendly host, big size apartment, fully equipped, including kitchen and terrace, good wi-fi connection too, very convenient for families. Location is well accessible with sufficient parking space. The apartment owner was very nice and friendly. She waited for us with beer and cake :) The apartment was also very good, as expected. It was amazing! Our hosts are awesome. We can only Recommend!! Pavel K.
Great place to stay with family. 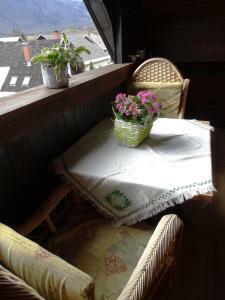 Location is fantastic, rooms are big and the owners are wonderful people! From there you can make day trips to Bled, Lake Bohinjsk, Škofja Loka and Ljubljana. The apartment has a lot of space, is well equiped and great for families. The owners are very kind and helpful people, we felt at home. We sure would stay there again. Lock in a great price for Apartments Zorč – rated 9.1 by recent guests! Apartments Zorč This rating is a reflection of how the property compares to the industry standard when it comes to price, facilities and services available. It's based on a self-evaluation by the property. Use this rating to help choose your stay! Located 500 feet from the center of Bohinjska Bistrica, Apartments Zorč is a good starting point for hiking, skiing and biking. Featuring an on-site restaurant, it offers welcome drink for its guests and apartments with a balcony or a terrace and free Wi-Fi. Set in a traditional house with wooden elements, all apartments are decorated with wood-paneled walls and wooden furniture. Each consists of a fully equipped kitchen, a living area with cable TV and a private bathroom. The Apartments Zorč’s restaurant features a terrace and a bar. A large garden with barbecue facilities invites to relax. Free private parking is possible on site. Fishing is possible on Sava River, just 350 feet away. The nearest grocery store can be reached within 500 feet. Rafting can be arranged 1,000 feet from the Apartments Zorč. Swimming pools are also 1,000 feet away. Kobla Ski Resort is at a distance of 2,300 feet and a ski bus is available 5 times per day. Bistrica River with canoeing facilities is 1.9 mi away. Bohinj Lake can be reached within 3.7 mi. A bus stop with lines to Bohinj Lake, Ljubljana and Kranj, is 350 feet from the Zorč. A train station is 0.6 mi away. Ljubljana Airport is at a distance of 43 mi. Bohinjska Bistrica is a great choice for travelers interested in local food, walking with kids and outdoor activities. When would you like to stay at Apartments Zorč? Bohinjska Bistrica je največje naselje v Bohinjski dolini, blizu je trgovski center, lekarna, zdravstveni dom, želežniška postaja( 5 min), avtobusna postaja(300 m)Blizu lahko obiščete domače gostilne z lokalno hrano, pizerije, ali manjše bare..Apartmaji so locirani izven naselja , blizu Osnovne šole, kjer lahko koristite športno igrišče. Možnost igranja nogometa na urejenem travniku 5 min od apartmajev( ob campu Danica) V kraju lahko obiščete muzej strojarstva, vojni muzej. V Eko hotelu imate možnost bowlinga, ali plavanja v aqua parku. V kraju je možnost najema koles, kolesarska steza do Bohinjskega jezera, ter izposoja športnih rekvizitov.. 1 km od hiše je plezalna stena za ljubitelje plezanja. V kolikor želite rafting, je v Campu Danica organizirano vodenje po reki Savi. 6 km od Bohinjske Bistrice je Bohinjsko jezero, kjer lahko plavate v poletnem času, ali pešačite v bližnje doline Voj, Vogar, korita Mostnice.. 12 km od kraja bivanja je smučišče Vogel, kjer lahko uživate v zimski pravljici. 2 km naprej je Slap Savica, ki se izliva v Bohinjsko Jezero. V času bivanja imate možnost obiska bohinjskih tradicionalnih prireditev ( Kravji bal, kmečka ohcet, kresna noč..
Area Info – This neighborhood is a great choice for travelers interested in local food, walking with kids and outdoor activities – Check location Excellent location – show map Guests loved walking around the neighborhood! House Rules Apartments Zorč takes special requests – add in the next step! location, good and friendly host. Our apartment was partially located under the surface, and so having less then usual daylight. We would have liked a bit more modern equipment and newer linen and bedclothes. Not much within walking distance. Friendly host who gave us a welcome beer when we arrived. Enough beds for us and our 3 boys. Very small balcony, not as in pictures in booking. Very noisy position; traffic noisy throughout, machine noise from plant across the road. Not ideal for peaceful stay.